The concept of Purgatory was of interest. In Catholic faith, our understanding is that when a person passes away, their soul goes to Purgatory. Then, basically, family and friends pray for this individual so that the soul can ascend to God. In the Presbyterian view, if the individual proclaims Christ as their savior, they are accepted by God. What about the book of Revelation, in regard to the Last Judgment? Are soul’s judged again? And where are the souls in the meantime? That’s a great question. Here’s how I replied. What would you say? The Bible teaches that those who belong to the Lord Jesus are saved completely. Hebrews 7:23-28 23 Now there have been many of those priests, since death prevented them from continuing in office; 24 but because Jesus lives forever, he has a permanent priesthood. 25 Therefore he is able to save completely those who come to God through him, because he always lives to intercede for them. 26 Such a high priest meets our need– one who is holy, blameless, pure, set apart from sinners, exalted above the heavens. 27 Unlike the other high priests, he does not need to offer sacrifices day after day, first for his own sins, and then for the sins of the people. He sacrificed for their sins once for all when he offered himself. 28 For the law appoints as high priests men who are weak; but the oath, which came after the law, appointed the Son, who has been made perfect forever. The clear picture is that “the one mediator between God and man, the man Christ Jesus” (1 Tim 1:15) is the one who prays (intercedes) for us. Therefore we do not need any more “help” from other saint’s prayers to get to heaven. As for the timing, that is another aspect which leads some to the notion of purgatory. That is, the delay between death and final judgment is the season of purgatory. However, this is not actually what the Roman Catholic Church teaches either. They teach that upon completion of purgation, the person goes from purgatory to heaven. Why penalize those who died earlier in history with a longer term in purgatory. In contrast, the Protestant view is that between death and the second coming, believers who die are present with God in their spirit (not their body). At the second coming when all are raised with resurrection bodies, those who loved Jesus and followed him are publically acquitted (declared righteous), at the final judgment. They were already present with God (in heaven) before this time, but now their body and soul are reunited to enjoy the new heavens and the new earth in resurrection bodies. 2 Corinthians 5:4-8 4 For while we are in this tent, we groan and are burdened, because we do not wish to be unclothed but to be clothed with our heavenly dwelling, so that what is mortal may be swallowed up by life. 5 Now it is God who has made us for this very purpose and has given us the Spirit as a deposit, guaranteeing what is to come. 6 Therefore we are always confident and know that as long as we are at home in the body we are away from the Lord. 7 We live by faith, not by sight. 8 We are confident, I say, and would prefer to be away from the body and at home with the Lord. Revelation 20:11-15 11 Then I saw a great white throne and him who was seated on it. Earth and sky fled from his presence, and there was no place for them. 12 And I saw the dead, great and small, standing before the throne, and books were opened. Another book was opened, which is the book of life. The dead were judged according to what they had done as recorded in the books. 13 The sea gave up the dead that were in it, and death and Hades gave up the dead that were in them, and each person was judged according to what he had done. 14 Then death and Hades were thrown into the lake of fire. The lake of fire is the second death. 15 If anyone’s name was not found written in the book of life, he was thrown into the lake of fire. Hope that helps advance our mutual understanding. Let me know what other questions this raises! 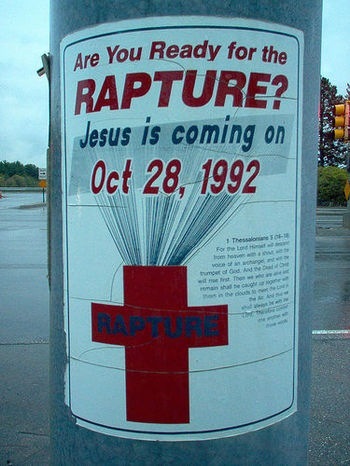 I know that millions of people (Christians in particular) are awaiting the rapture. This is the moment when they will be wisked away before all hell breaks loose on planet earth. But, allow me to gently and humbly suggest that this “rapture==>left behind” view is right about the suddenness of Christ’s return, but wrong about what happens next. This view that millions of people will be standing around wondering where everyone went and headed toward the great tribulation has little in the bible to support it. In fact, rather the opposite, I believe the bible makes it rather clear that Christ coming for his own will be the end of history. I would encourage you to consider these views as “noble Bereans” and test my view against the “rapture==> left behind/tribulation” view. Rather than the unregenerate being “left behind” for the great tribulation–wondering where everyone disappeared to, I believe that when the “rapture” happens we who remain are changed, meet the Lord in the air with resurrected believers and return to the earth immediately to stand before Christ for final judgment (together with all humanity, those who died apart from Christ and those who lived apart from Christ.) This is the end and death will be defeated right then and there. When we are transformed (i.e. “raptured”) then death will also be ended. Why? Because, all will be raised and all will face final judgment together. That is not what “raptureàleft behind” advocates say. If death is ended at his coming and our rapture, then there is no more “fierce wrath of God” to be poured out on humanity in history. For when that event happens: a) Christ descends, b) we meet him in the air, c) Christ judges the world. End of story. It will be sudden; but there’s nothing I can find in the bible to convince me that anyone will be left behind. 1 Thessalonians 4:16-18 16 For the Lord himself will come down from heaven, with a loud command, with the voice of the archangel and with the trumpet call of God, and the dead in Christ will rise first. 17 After that, we who are still alive and are left will be caught up together with them in the clouds to meet the Lord in the air. And so we will be with the Lord forever. 18 Therefore encourage each other with these words. When he comes, everyone will see him. This is directly contradicted in the rapture/left behind view. Who say that no-one will see him. At the end of history all the dead are raised—the just and the unjust at the same time. Matthew 25:31-34 31 “When the Son of Man comes in his glory, and all the angels with him, he will sit on his throne in heavenly glory. 32 All the nations will be gathered before him, and he will separate the people one from another as a shepherd separates the sheep from the goats. 33 He will put the sheep on his right and the goats on his left. 34 “Then the King will say to those on his right, ‘Come, you who are blessed by my Father; take your inheritance, the kingdom prepared for you since the creation of the world…. Matthew 25:40-41 40 “The King will reply, ‘I tell you the truth, whatever you did for one of the least of these brothers of mine, you did for me.’ 41 “Then he will say to those on his left, ‘Depart from me, you who are cursed, into the eternal fire prepared for the devil and his angels. I believe Christ second coming is the end. There will be nothing after that. So yes, he will come in an instant. But those who are not caught up, will be presently judged immediately. There is no tribulation after his once and final return. There is no secret return. 1 Corinthians 15:22-24 22 For as in Adam all die, so in Christ all will be made alive. 23 But each in his own turn: Christ, the firstfruits; then, when he comes, those who belong to him. 24 Then the end will come, when he hands over the kingdom to God the Father after he has destroyed all dominion, authority and power. 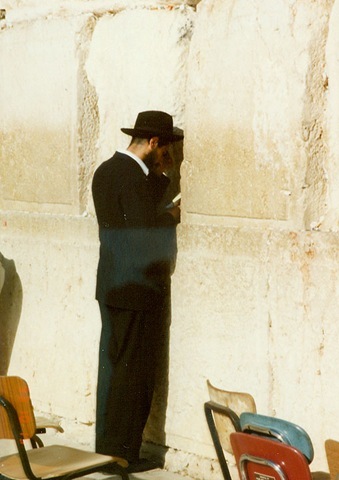 How will the end times impact not only the church, but the nation of Israel? Does God have a different plan for Israel than the church or is the plan the same but the road travelled to get there slightly different? Let me say that this question (the question of Israel & the church) is THE question in terms of understanding the unfolding of God’s redemptive plan. As you know the Dispensational view says that God has a separate plan for Israel. The promise that “all Israel will be saved” (Romans 11:26) means that God will reclaim his old covenant promises during the millenium (without the church present.) This is also called Pre-millenial. In this view the plan for Israel and the church are entirely separate. The Covenant view has at least two positions. One Covenant view is that God is done with Israel as a specific nation and only individuals Jews are a part of the plan as they accept the gospel. Covenant view #1 says that “all Israel will be saved” (Romans 11:26) means that since all who accept the gospel are the “Israel of God,” all who are part of the true Israel (the remnant) will believe. This position is also generally amillenial. In this view there is no specific future plan for Israel. The other view in the Covenant camp is that God still has a plan for to include Israel as a nation–to wit that they will turn to God (generally) during salvation history/church age. This is my view. I believe that Romans 9-11 teaches that Israel will turn (generally–most, not all) to accept salvation through Jesus Christ as Messiah before his return. The promise that “all Israel will be saved” (Romans 11:26) is a promise that will be fulfilled of the descendents of Jacob (similar set of people as dispensational position) but not during a removed time of history (future millenium). The return of Israel will be “life from the dead” (Romans 11:15). In this view, the relationship between Israel and the church continues in a synergistic effect. In other words, if their tresspass (the nation of Israel’s rejection of the gospel) means riches for the Gentiles (the gospel goes to other nations), what will their full inclusion mean (Israel’s believing the gospel of the kingdom “their” = “their”). In other words, if God can use Israel’s rebellion to bring grace to the world, just imagine what he will do with their belief. The Apostle Paul clearly believes this will happen in history. In fact, he believes it will happen (in part) through his ministry! Act 20-28 is the saga of St. Paul’s attempt to bring healing unity to the church (Jew/Gentile) through the love offering of the Gentile church for the beleaguered Jewish believers in Jerusalem. (He delivers the gift, gets arrested, and eventually gets shipped off to Caesar—but that’s another story.) That ministry continues today through the proclamation of the full gospel of the Kingdom. This positive view of salvation history where Israel (on the whole) will accept their Messiah and his gospel before Christ’s return corresponds to the post-millenial position. Here’s a chart of the basic positions if you want to keep the categories straight. WHEN WILL THIS BE ACCOMPLISHED? For more on this issue, please visit my audio downloads of “Introduction to Eschatology” at: www.cornerstoneforlife.com. This is the page under “Ministries” – “Adult Education” – “Class Resources On Line” (just in case the link doesn’t go directly. There are 12 weeks of lessons posted. Week number 8 has the handout and lecture on Israel and the Church based on Romans 9-11. Audio is a free download.